As Eastern and Western cultures blend, feng shui is gaining in popularity, not only with home owners but with many businesses and corporations. It’s a little known fact that companies such as Meriton, Citibank, Virgin, Microsoft and Trump utilise feng shui. Many of Jenny’s business clients have called her back to feng shui their new, larger premises. 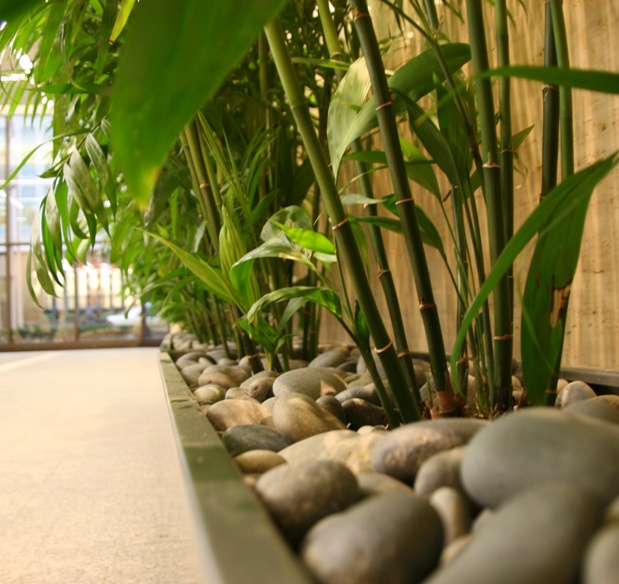 Find out if your new office has good feng shui BEFORE you move in, not after. Jenny can check your potential office or retail space using google maps and streetview. After assessing surrounding landforms and compass directions, a flying star feng shui chart can then be drawn up, to assess its potential for attracting business success and good relationships. Email jennyblume@iprimus.com.au or phone 0411 631 940. Symbolising the gateway between you and the outside world, doors play a crucial role in feng shui. Ideally, they should allow luck and energy to flow freely into your office, while giving a sense of protection. They should be neither too big (beneficial chi can leak out), nor too small. Revolving doors are best of all, followed by sliding doors – just be sure they open smoothly. A well-lit entrance will attract good vibes into your workspace, whereas dirty glass, creaky hinges and cluttered reception areas hinder the flow of ‘chi’. Paintings and artwork displayed in offices should conjure up positive feelings. If the subject touches on poverty, solitude or ugliness it will bring both you and your clients down. Images of mountains convey feelings of stability and solid backing, while sun splashed landscapes can lift the spirit and reduce anxiety. As water corresponds with money, aquatic scenes are said to stimulate finances, but don’t let “the water flow out the window or door”. Clutter weighs you down, and even worse, it can act as a barrier, making it difficult for new clients and opportunities to enter your sphere. For this reason, anything broken should be fixed, or if it can’t be fixed, recycled into something useful. Consider getting rid of objects that conjure up unpleasant memories, too. Decrepit furniture, dying plants, peeling paint and fading prints on the wall all reflect badly on your business. Finally, sort through your files and consider storing old/never used files out of sight or off the premises.